Artistic Director, Jessica’s love of the performing arts began at an early age. At the age of 10, Jessica performed on Broadway at the Shubert Theatre in a benefit for famed choreographer, Agnes DeMille. She shared the stage with some of the biggest legends in the business that night, including Tommy Tune and Mikhail Baryshnikov. Jessica continued her studies at the prestigious University of Michigan’s Musical Theatre Conservatory Program. After graduation, she received her Masters in Secondary Education at New York University, where she graduated with honors. As a Casting Director at Nancy Hayes Casting, Jessica worked on Philip Kaufman’s feature film, Twisted starring Ashley Judd, Samuel L. Jackson and Andy Garcia, the Indie feature, The Zodiac starring Grey’s Anatomy’s, Justin Chambers, Kieran Culkin and Robin Tunney as well as the television series, Presidio Med starring Dana Delany, Christine Baranski, and Blythe Danner and Monk starring Tony Shaloub. 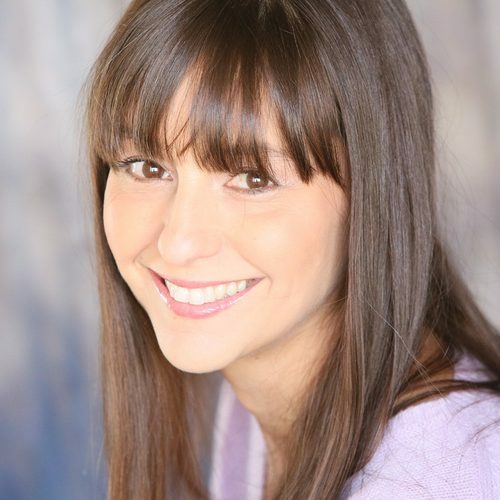 While at Nancy Hayes Casting, Jessica cast countless commercials, voice-overs, industrials, and print ads. Upon her return to NYC, she freelanced with Donna DeSeta, Godlove & Co., Martine Dorfman, Jerry Beaver, Barden Schnee and other casting offices in the city. Jessica also has extensive experience on the talent agency side of the business, having worked for two of New York’s premier talent management firms, Don Buchwald and Associates and the Professional Artists Agency. Jessica was recently featured on the television show, Extreme Moms for the Lifetime Channel as an expert talent judge. She can also be seen in the feature film The Zodiac, numerous commercials and print ads. Jessica is proud to be a Backstage Expert for Backstage Magazine, the industries go-to resource for all things entertainment!